Hardik Pandya has been advised by fans to stick to cricket and not Parineeti Chopra. 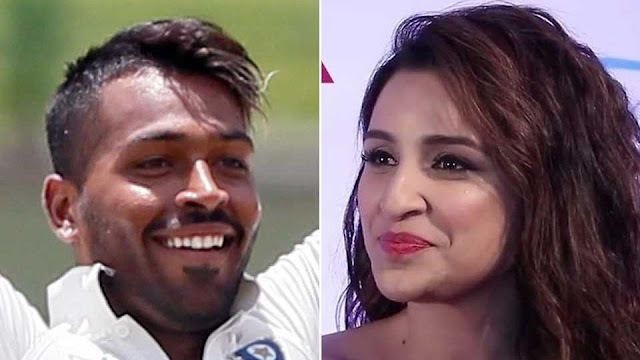 Hardik Pandya was recently romantically linked to Bollywood actress Parineeti Chopra, prompting advice from his fans on Twitter: focus on cricket, not anywhere else. Hardik Pandya has been one of the biggest revelations of Indian cricket in recent times, rising through the ranks rapidly ever since the legendary Sachin Tendulkar backed him to play Test cricket for India. Much to the surprise of many, Pandya was fast-tracked through the ranks and he even made his Test debut in Sri Lanka in the recently-concluded series. The 23-year-old batting all-rounder even stroked his way to his first century in Test cricket — also his first in First-Class format — during the Pallekele Test to signal his arrival. Hardik Pandya seemed to be making all the right moves, but all it took was a tweet to the Bollywood actress a few days ago for the fans to turn up the heat on the cricketer on Twitter. Bhai focous on your game.otherwise you will loose everything you gained. India will take on Sri Lanka in a one-off T20 on Wednesday, with Hardik Pandya expected to feature in the starting XI for the visitors as they attempt to end the tour with a win.